These propeller adapters are CNC machined from billet aluminum. They are designed to be used with the Starmax 1600mm models. These prop adapters will allow the use of the planes original propeller hubs onto the NTM Prop Drive 50xx series outrunner motors keeping the great scale looks of these models. They have the proper indexer machined right into the shaft as well as the 4mm threaded hole on the end of the shaft for a perfect fit. 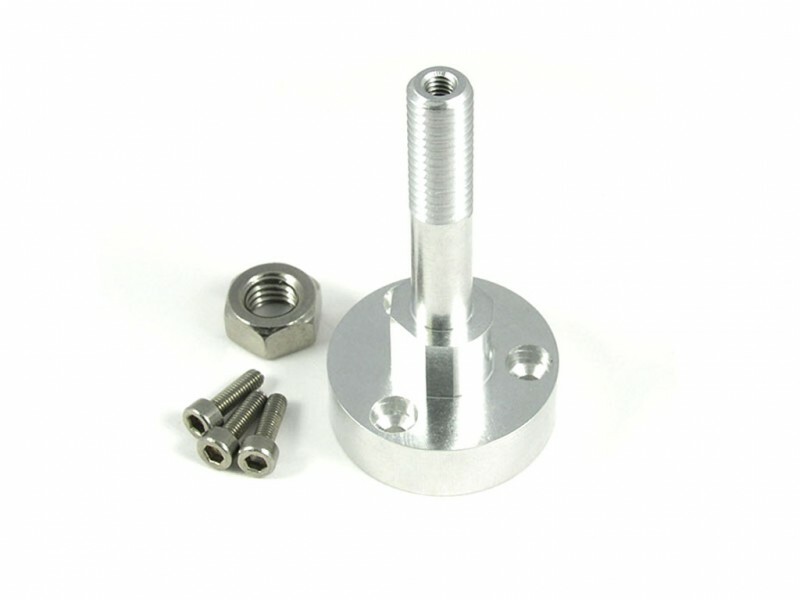 - These are designed for propeller hubs requiring the indexer for engagement and an 8mm hole. - The use of an aftermarket motor on the Starmax may require an aftermarket or modified motor mount to adjust for the length of the new motor used. - Full dimensions of prop adapter provided in photo. 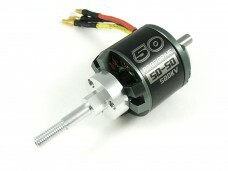 Please contact us with any questions on motor compatibility.